The guide is meant as a starting point for individuals seeking out information to assess the pros and cons of various protocols in addressing their project objectives. 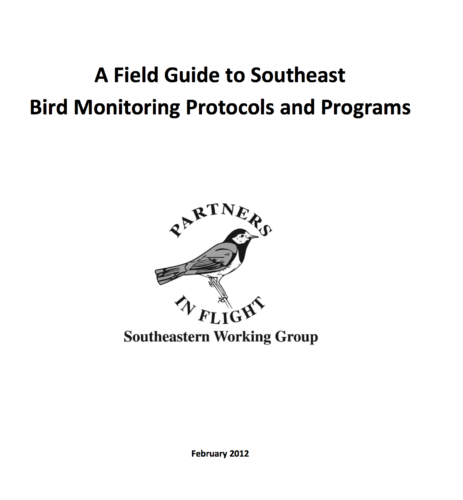 In those cases where the protocols are inextricably linked to a broader monitoring program, the program itself (e.g., North American Breeding Bird Survey) and/or the sampling scheme (e.g., Strategic Multi-scale Grassland Bird Population Monitoring) is summarized along with the protocol. Our focus was primarily on those protocols designed to measure abundance and demographic parameters.